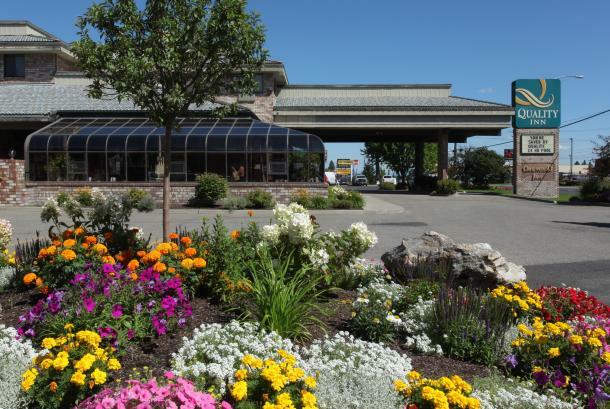 With over 2,500 square feet of divisible meeting space the Quality Inn Oakwood is the perfect venue for your next event. Executive Boardroom seats 12 and is ideal for depositions and small meetings. Enjoy complimentary A/V equipment. Onsite catering is available, but outside food and beverage is permitted. Whether you’re planning a corporate retreat or family reunion, make the Quality Inn Oakwood your Choice Hotel. Description For business meetings, corporate get-togethers or family functions, the Quality Inn Oakwood specializes in making every event a success. 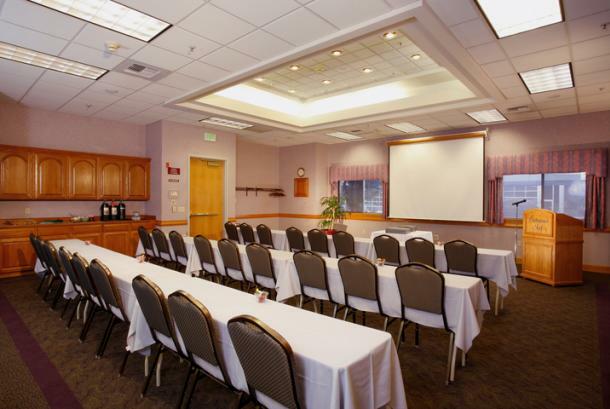 The Oakwood offers conference facilities for up to 100 people and is committed to offering the finest in guest services and quality accommodations. Catering for lunch or dinner can be coordinated with an outside caterer or our own sales and catering department can take care of these arrangements for you. 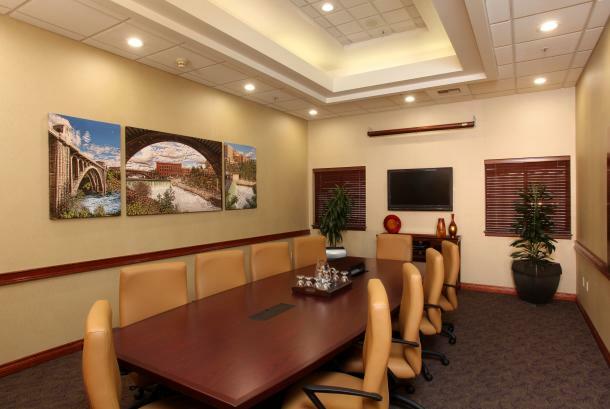 Coffee and tea is complimentary with a full-day rental of the executive boardroom. Ask about how to earn great rewards through our Meeting Planner Rewards Program. Space Notes Wonderful break-out rooms for smaller meetings. Bright solarium located off of meeting rooms.